Millennials – take a bow. Not only are you concerned about how your super is invested, you are more likely than other age group to act on your beliefs when choosing a super fund. Research commissioned by the Responsible Investment Association Australasia (RIAA) reveals that 75% of Millennials prefer to invest in a responsible super fund than one that only considers maximising financial returns. Well ahead of Gen X on 66% and Baby Boomers on 68%. Across all demographics, the proportion of people who would rather invest in a super fund that “considers the environmental, social and governance (ESG) issues of the companies it invests in and maximises financial returns”, as opposed to a fund that focuses solely on maximising returns, has risen by 27% since 2013. That’s a pretty strong trend which sends a clear message not only to superannuation and investment fund managers, but also to the wider corporate community - people care about more than just profits. They also want their investments to contribute to the greater good. What makes an investment ethical? Ethical investment funds may use positive screens to select companies that are doing ‘good’ things, or negative screens to exclude companies doing ‘bad things’. Or they may do a bit of both. There are, of course, different views as to what is ‘ethical’. Someone with strong religious convictions may be interested in a very different range of investments than someone with deep environmental concerns. Typically, though, ethical funds tend to avoid investing in companies involved in weapons manufacture, alcohol, tobacco, gambling or fossil fuels while favouring renewable energy companies, sustainable technologies or healthcare. Even then it can be difficult to decide if a particular company is ‘good’ or ‘bad’. Many people avoid investing in companies that mine uranium, but those same companies may also extract the materials needed to build wind turbine towers. Or a bank that finances coal mines may also lend to solar farms and energy efficiency projects. Given the wide range of ethical considerations, you may need to do some in-depth research to find the fund or funds that best match your values. 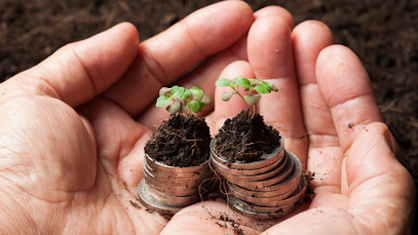 Is your fund doing the right thing? While you may have an ‘out of sight, out of mind’ attitude to your super, it’s important to remember it’s your money and you get to choose where and how it’s invested. Start with your fund’s website or disclosure documents and look for the environment, social and governance section. Most large super funds offer a range of investment options, only some of which may match your idea of ‘ethical’. However, there may be a direct share option, allowing you to construct your own portfolio of shares in companies that are compatible with your values. Or you may look to the increasing number of investment managers that apply ethical filters across their entire range of funds. Fortunately it’s becoming easier to track down the investment funds that suit you. Talk to us about the issues that are important to you so we can help you invest your super where your heart is. For more information about ethical investing please contact us on 08 9964 9000.